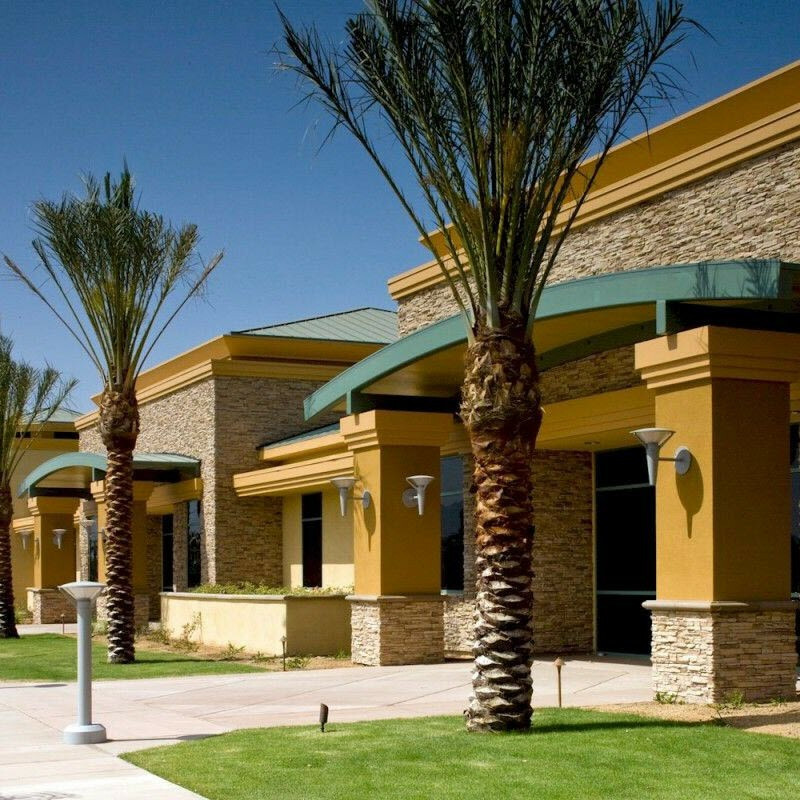 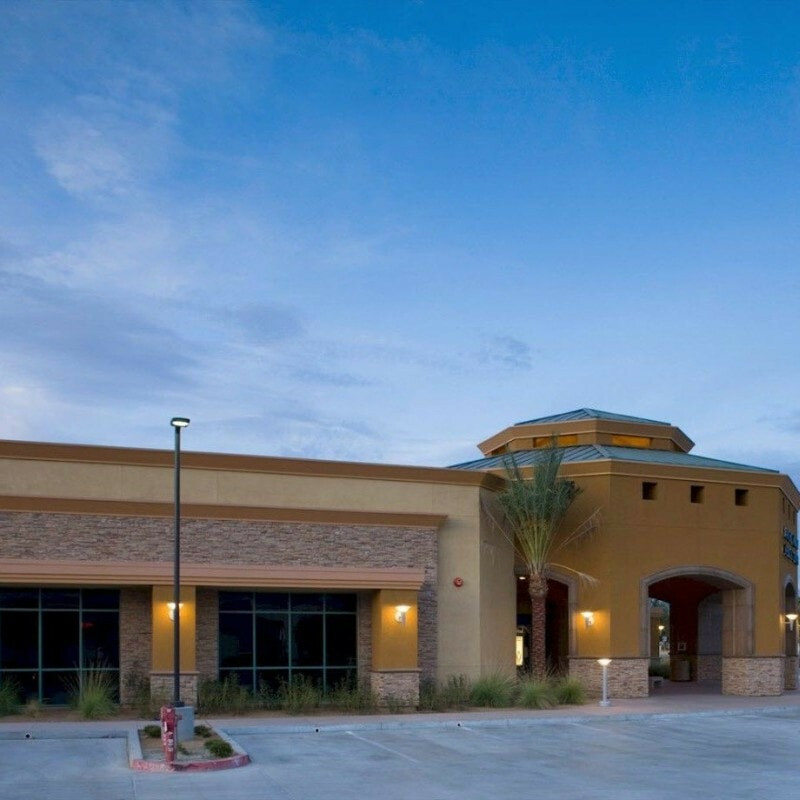 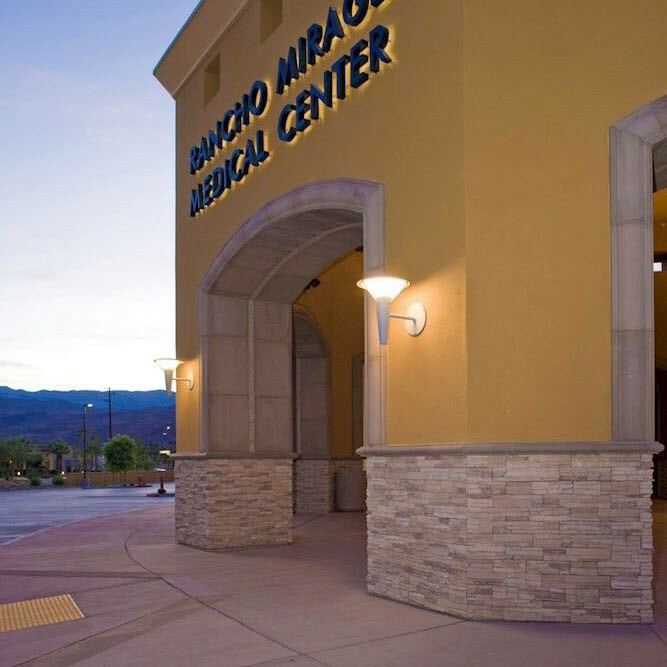 The light is directed downward and is lit in a symmetric pattern that gives off emission in a non glare light distribution. 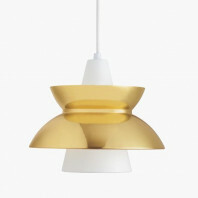 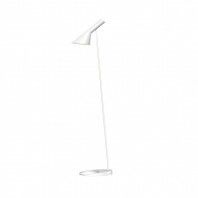 The lamp light is distributed between a slightly curved top shade, which is made of die cast aluminium, and an angle of the inner opal diffuser, which is made of an injection moulded white opal acrylic material. 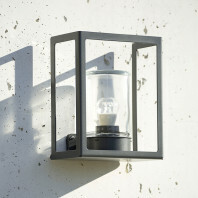 The enclosure of the Kipp Wall Outdoor lamp is made of an injection moulded white opal acrylic while the frame and wall box is made of die cast aluminium. 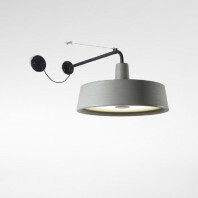 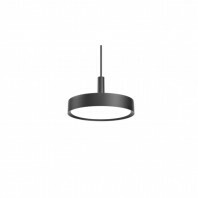 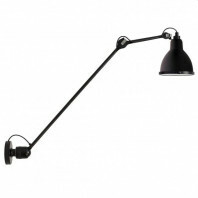 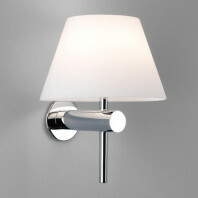 The arm of the lamp is made of extruded aluminium. 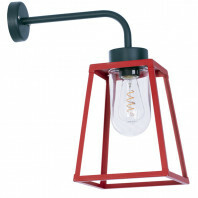 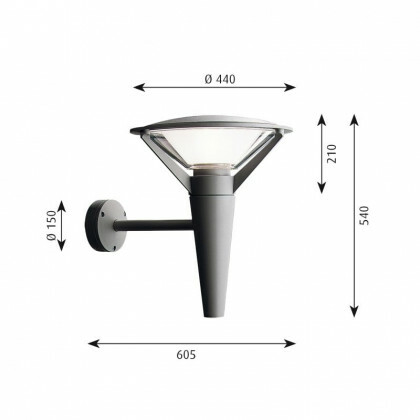 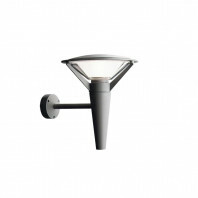 The outdoor lamp is also very sturdy, which makes it a great candidate to be an outdoor lamp. 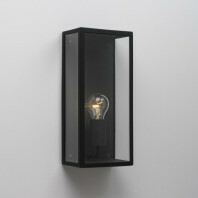 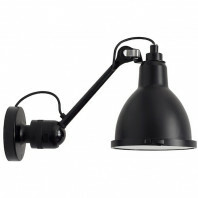 The Kipp lamp can be weighed in at a minimum of 6.3 kg and a maximum of 7.7 kg. 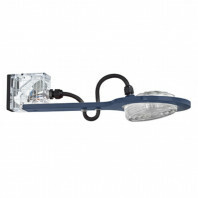 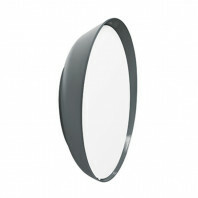 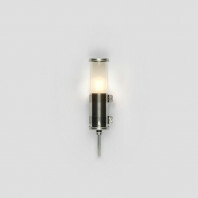 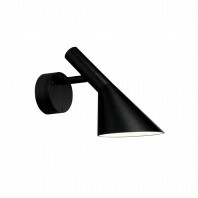 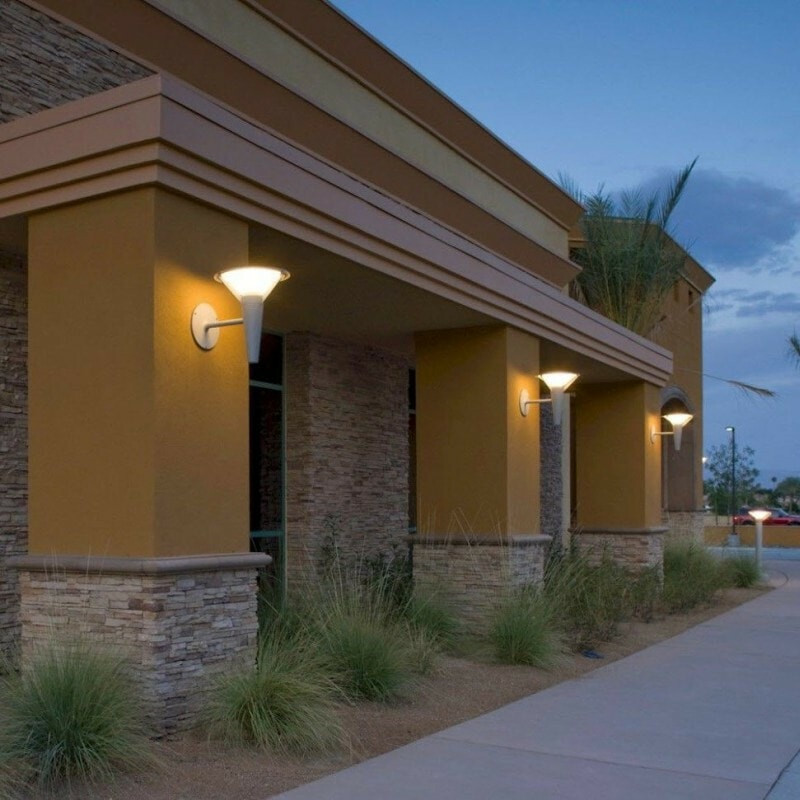 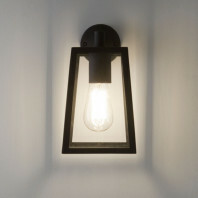 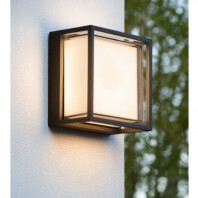 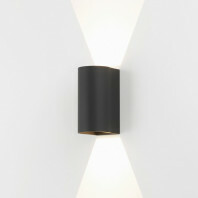 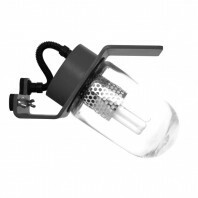 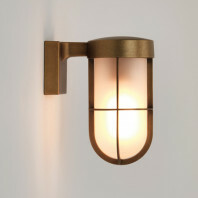 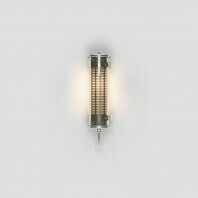 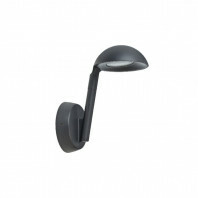 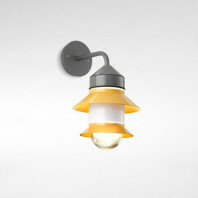 These features set it apart from most outdoor lamps, which attach lightly to the exterior wall. 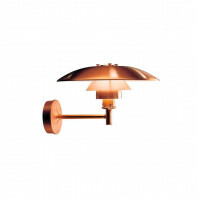 This lamp, however, contains a sturdy and heavy presence, which helps withstand weather conditions and outdoor occurrences. 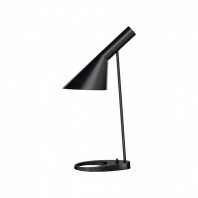 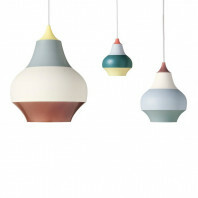 The lamp comes in two different colors and options to be ordered. 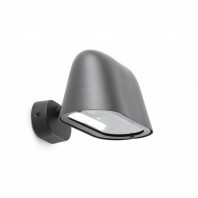 It can either be chosen in an aluminium coloured texture surface, or can be covered in a graphite grey, with a powder coated surface. 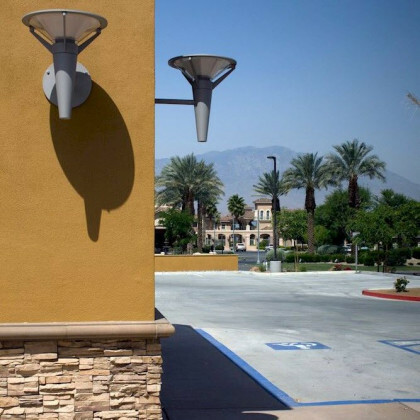 The two colors, however simple they may be, also offer distinct surface details that set the design apart and make it acceptable and optimal for the various degrees of outdoor wear and tear. The driver of the lamp is in the conical fixture housing, which takes advantage of the shape of the design to conserve the optimal visual aspects of every element of the lamp itself. 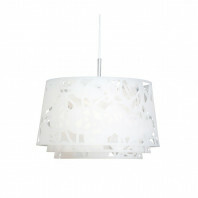 Material Diffuser: Injection moulded white opal acrylic. 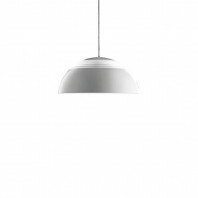 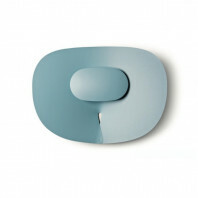 Top shade: Die cast aluminium. 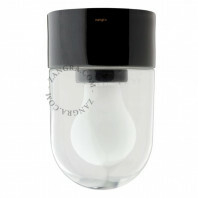 Enclosure: Injection moulded clear polycarbonate. 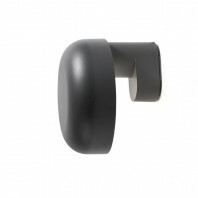 Frame: Die cast aluminium. 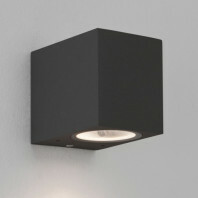 Wall box: Die cast aluminium. 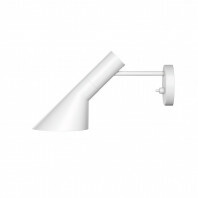 Arm: Extruded aluminium. 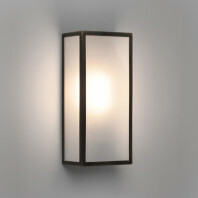 Remarks The fixture emits symmetrical light directed downward. The relation between the slightly curved top shade and the angle of the inner opal diffuser ensures a wide non glare light distribution.